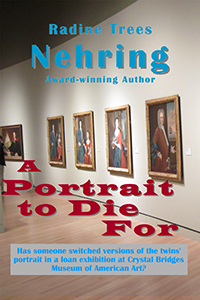 I am pleased to have Radine Nehring write a guest post for me. When I read it I immediately thought, "this is exactly the way to speak to my students who think I am crazy when I talk about hearing voices." Please enjoy the post and check out her book. A discussion of writers as "weirdos" because they hear voices in their heads has been going 'round Twitter recently. As a famous heroine in fiction would say--"Fiddle de-de." Nothing weird about voices in our heads. Truth be told, which of us does not hear interior voices? Some of the time they are us speaking silently to ourselves. "Whew--look at those tattoos. What will they look like when she's 80?" "Sheesh, another one who ran a red light on the end of yellow." "I used to be slender, and look at me now. Still--the extra weight gave me worthwhile cleavage." "What am I gonna do about _____________?" (Fill in the blank.) And, "I miss her so much, but at least I can still hear her voice. I pray that memory never fades." Admit it. You, too, hear those "yours alone" voices--or at least your non-verbal voice and the voices of those close to you. That is NOT weird. Yes, I am a writer and yes, I hear voices in my head. Some are me speaking to myself about my work as an author, and, at other times, about my life in general. These voices make no outward sound. In addition, when I'm working on a short story or novel, editing my work, or just reading something I wrote, I definitely hear my characters as they speak their lines. Thing is, would they come out as believable if their voices weren't heard somewhere? Do they sound like real people? Is her voice distinguishable from his? Call it playing God if you want, but fiction writers are in the business of creating quasi-real characters, whether earthlings, or a being from a galaxy far, far away. My friend, those beings HAVE to communicate--first, to their creator, and then to everyone who reads their story. Is that what makes up a writer's voice--which is something we hear talked about frequently? Partly, yes, but the term is usually applied in a more generic way. A writer's voice is a composite of all that person is as a writer, plus the words they put in the mouths of their characters. I wonder--How often do people reading a series of books by one of their favorite authors have a feeling of closeness to that author simply because they are steeped in a special series of voices the writer has created? 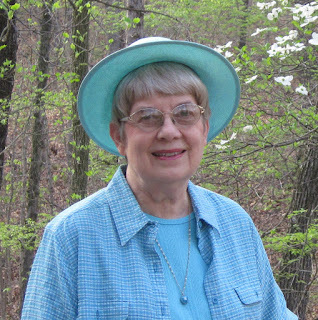 For more than twenty years, Radine Trees Nehring's magazine features, essays, newspaper articles, and radio broadcasts have shared colorful stories about the people, places, events, and natural world near her Arkansas home. In 2002, Radine's first mystery novel, A VALLEY TO DIE FOR, was published and, in 2003 became a Macavity Award Nominee. Since that time she has continued to earn writing awards as she enthralls her original fans and attracts new ones with her signature blend of down-home Arkansas sightseeing and cozy amateur sleuthing by active retirees Henry King and Carrie McCrite King.